Laser City - The newest place in Edmonton to play Laser Tag. You are here: Home / Local to #yeg / Laser City – The newest place in Edmonton to play Laser Tag. 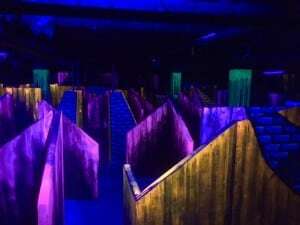 Laser City – The newest place in Edmonton to play Laser Tag. Have you heard of Laser City? Are you are planning your next birthday party, stag/stagette, team building exercises, date night, family time or just some much need fun? 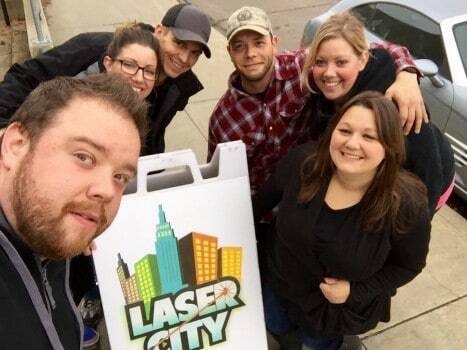 The newest Laser Tag facility in Edmonton , Laser City is the place to go. 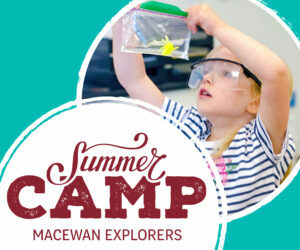 Suitable for ages 6 and up there are a few options for how to play the game depending one what you are there for. Free for all and playing on teams is what is generally played. However, Laser City will also be introducing Zombie, Space Marines, and Capture the Base, a survivor type of game where team work is needed to figure out how to survive. It’s perfect for your next team building exercise.. The second game involved 12 players and we played in 4 groups of 3. This time, I went in with a more strategic plan! I hid in corners, ducked when opposing teams walked by, and was in complete stealth mode! And I wasn’t 2nd last. We left after those 2 games already planning the next time we could come back. It’s definitely the type of fun that leaves you wanting more! Laser tag for younger children! Coming soon, Laser City will also be offering Hero Tag for children 4-8 years old. Laser City is the only indoor place that you can experience this adapted Laser Tag game that uses light weight blaster gloves, instead of the laser gun and a wireless vest (with an awesome cape!). Laser City is located at 10010-107a Ave in the same building as the Edmonton Paintball Centre. There is also plenty of FREE parking behind the building. I have teamed up with Laser City to give away a round of Laser Tag for a group of up to 10 people! All details for entering are below. 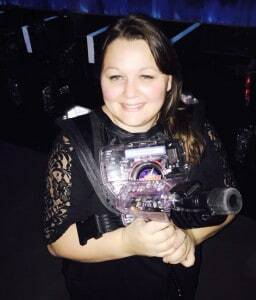 Want to see what it’s like inside playing Laser Tag? Check out this quick video clip. I’d take my kids and friends for my son’s birthday. That would be a fun birthday!! I would take my Family (3kids) and my besties family! That sounds like fun. They will also be offering Hero tag for younger kids very soon. I would make this a ladies night and take all my friends! Hard choice – either my kids or my swim group! I’d take my family of five and each of my three kids could take a friend or two – We took a few out for paintball last month, and I lost sorely. As my daughter pointed out, one of my son’s friends was pretty much a stealth ninja parkouring all over the place… I need my chance for revenge. I feel that this is definitely the place to get it!